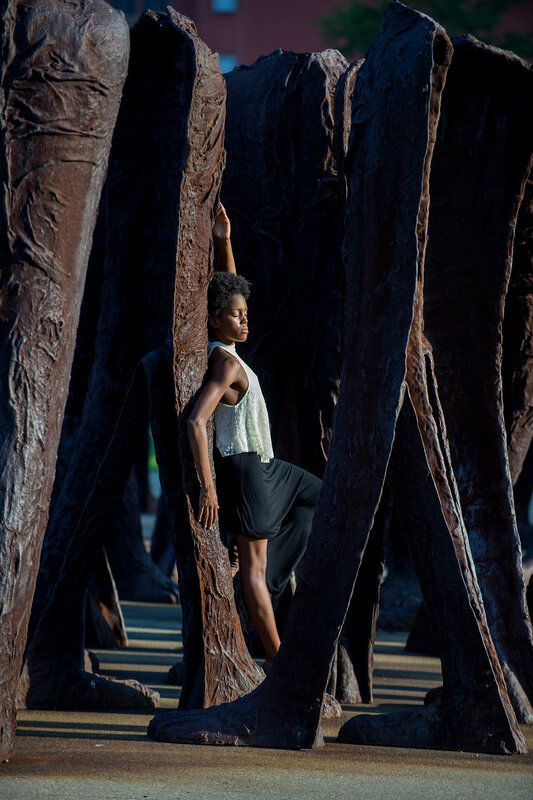 Using natural light, urban architecture and nature, outdoor dance portraits are the perfect pairing of dancers’s art with the real world. 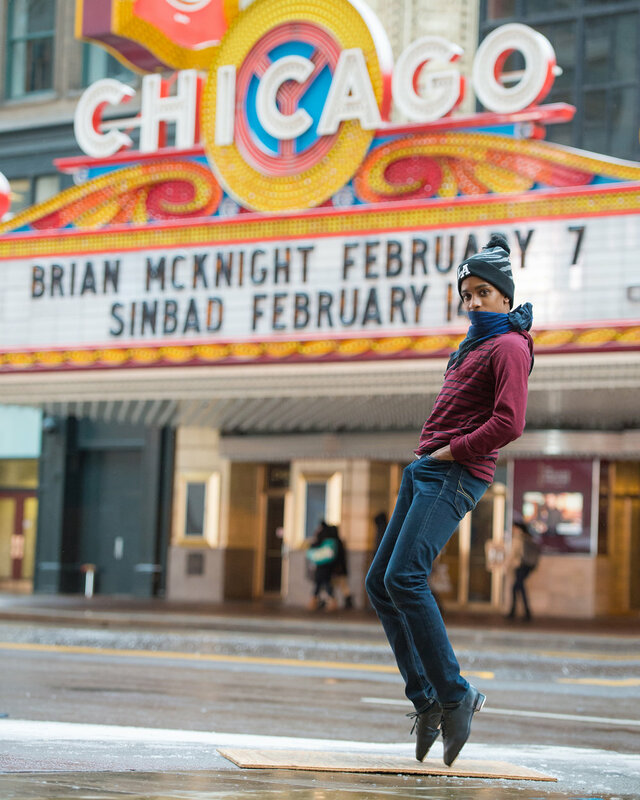 We have taken dance portraits at well-known landmarks including the Boston Harbor, Discovery Gardens in Houston, the front steps of the Chicago Art Institute and the bean at Millennium Park in Chicago. Every day locations like the lakefront, a local park, the side door of a theater, or the downtown of your suburb also make great places to take posed portraits. 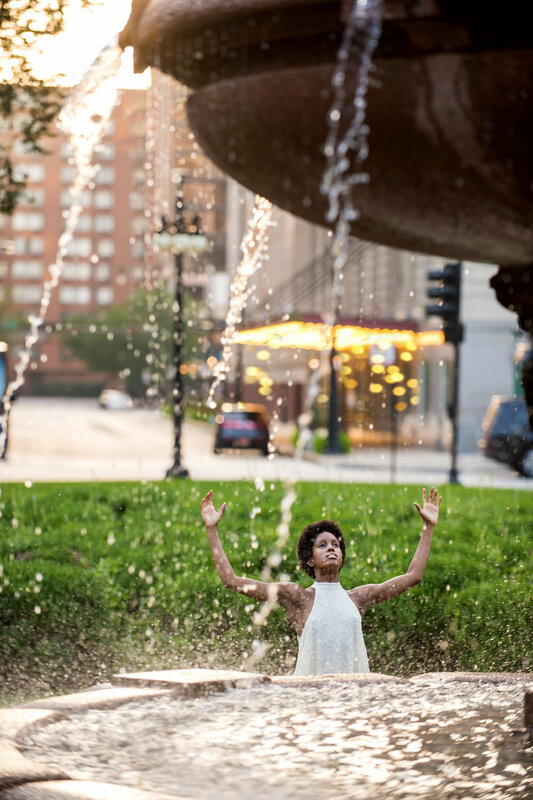 Outdoor dance sessions are two hours long, and you can choose to do a JPG or print package, or simply pay for the session ($125 in nearby locations, $200 in downtown Chicago) and choose your prints or JPGs later (with a minimum $300 purchase required). Dancers often bring several different outfits to change into for these shoots. Portrait sessions can be scheduled by calling our studio at 815-893-6822 or contacting us here. Out outdoor dance sessions can be scheduled individually or for team and groups. Check out our Dance Photography page for details.